The Best Western Inn & Suites at the Commons is located a few minutes from the village of Cooperstown. Start the day off right with a complimentary breakfast that includes donuts, waffles, danishes, cereals, fresh fruit, yogurt, tea and coffee. Additional hotel amenities include an indoor heated pool, hot tub, exercise facility, and 24-hour game room. Guest rooms feature king or queen beds, free high-speed Internet access, coffee and tea maker, a refrigerator and a microwave. The interior of The Cooper Inn authentically reflects the Federal decorative style of the early 1800’s. 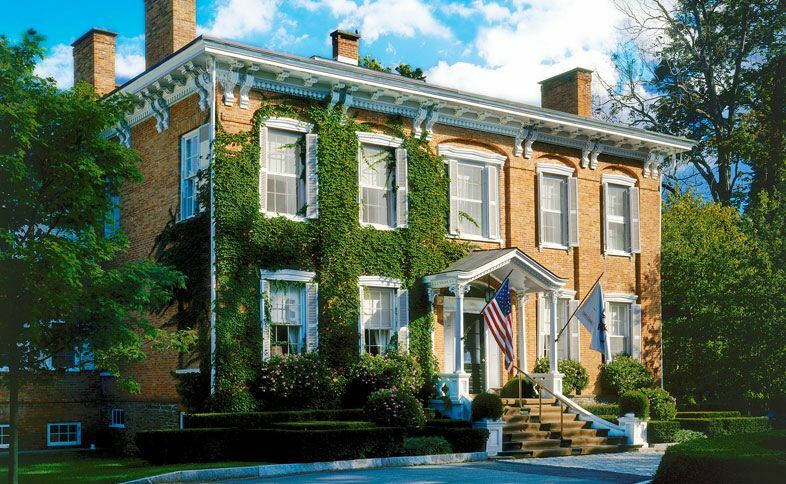 When the National Baseball Hall of Fame opened in Cooperstown in 1939, The Cooper Inn expanded to 20 guest rooms and 11 baths. An additional restoration effort in 1999 added 4 more baths and modernized all of The Inn’s amenities. The Inn has been totally refurbished and painted, including the decorative period woodwork throughout the Main Floor. The Cooper Inn contains 15 rooms, each with modern amenities including phone, free wireless high-speed Internet access, cable television, central heat, air conditioning, and private bath. It is conveniently located near The Otesaga Resort and Leatherstocking Golf Course. A magnificent, Federal-style structure with an imposing front portico supported by massive 30-foot columns, The Otesaga occupies 700 feet of lakefront on the southern shore of Lake Otsego, the famed “Glimmerglass” of James Fenimore Cooper’s novels. The hotel is adjacent to Leatherstocking Golf Course. Selected as a member of the prestigious Historic Hotels of America, The Otesaga is reminiscent of a genteel era when a gracious welcome was the standard. The Otesaga continues to receive the coveted AAA Four Diamond Award, for providing exceptional accommodations, excellent service and an elegant atmosphere. Recreational options include tennis, swimming in the heated pool or in the waters of Lake Otsego, or relaxing in a rocker on the Veranda overlooking the lake. This new hotel is getting great guest reviews, and for good reason. An indoor heated pool and hot tub, free full breakfast and Wi-Fi, and flat screen TV’s in each room are some of the many amenities guests enjoy. Each room has a refrigerator, microwave and coffee maker. The setting is peaceful and relaxing…the Comfort Inn is located five miles from Cooperstown, as easy drive through the farmlands of Leatherstocking country.